Weeeeeeeeeeeeeeee! 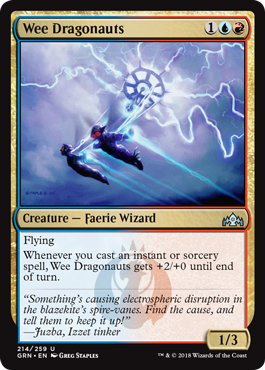 Izzet decks can’t do much better than a 3/3 (or even 5/3) flyer for 3 mana, and it’s not hard for this to play that part. Left unchecked, this will end the game very quickly, and have fun doing so.